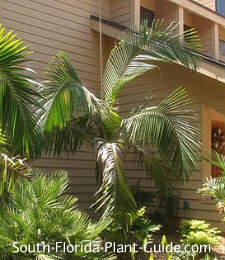 The moderately cold-hardy piccabeen palm is gaining well-deserved popularity for its easy-going nature and graceful beauty. 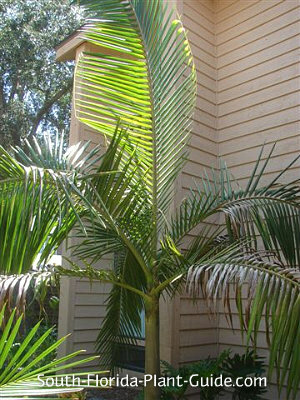 Ever since the winter of 2009-2010 wiped out many favorite palms that couldn't handle the record temps of that year, homeowners scurrying to replace their lost palms with more cold-tolerant varieties began discovering the piccabeen. And the self-cleaning piccabeen is the perfect choice. It features long, sweeping palm fronds similar to a coconut palm atop a smooth, gray trunk and parrot-green crownshaft reminiscent of the adonidia ("Christmas Palm"). Charmingly awkward when young because of the lengthy fronds, this solitary palm evolves into a stately single- or multi-trunk specimen that enhances most home landscapes. 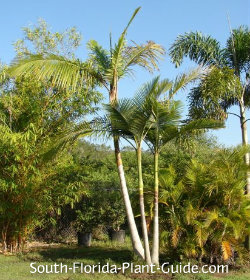 Piccabeen palms grow in full sun to part shade, reaching about 30 feet in height with a moderate growth rate. They're moderately cold-tolerant - fine anywhere in Zone 10 and in warmer areas of Zone 9B (those bordering 10A). Add peat humus or topsoil to the hole when planting. 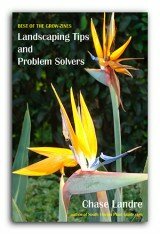 Fertilize three times a year - spring, summer and fall. The piccabeen is self-cleaning so you'll never have to trim off browned fronds. Although it's considered moderately drought-tolerant once established, a piccabeen will thrive with regular watering. Plant far enough from the house that the 8 to 10 foot long fronds aren't damaged by touching the walls - at least 5 to 6 feet away. If you're planting along a fence or structure where the head of the palm clears the structure, you can space the palm as close as 3 feet out. 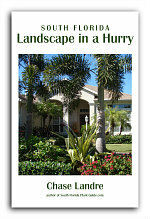 If the palm you buy already has some height, you can plant near the edge of a walk or drive, as close as 3 or 4 feet if the long fronds allow room to get by or under them. Containers are fine for the piccabeen. 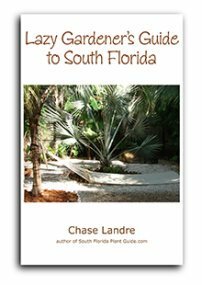 COMPANION PLANT SUGGESTIONS: Croton, hope philodendron, mid-size bougainvillea, Knock Out rose, yesterday today and tomorrow, and orange bird of paradise.